With more than 200 different products aimed at connecting almost any possible combination of industrial networks. The product family offers Master/Scanner functionality for Profibus, DeviceNet, EtherNet/IP and AS-Interface and includes Slave/Adapter functionality to16 other networks. • Configuration via USB using the included Anybus Configuration Manager – No programming required! 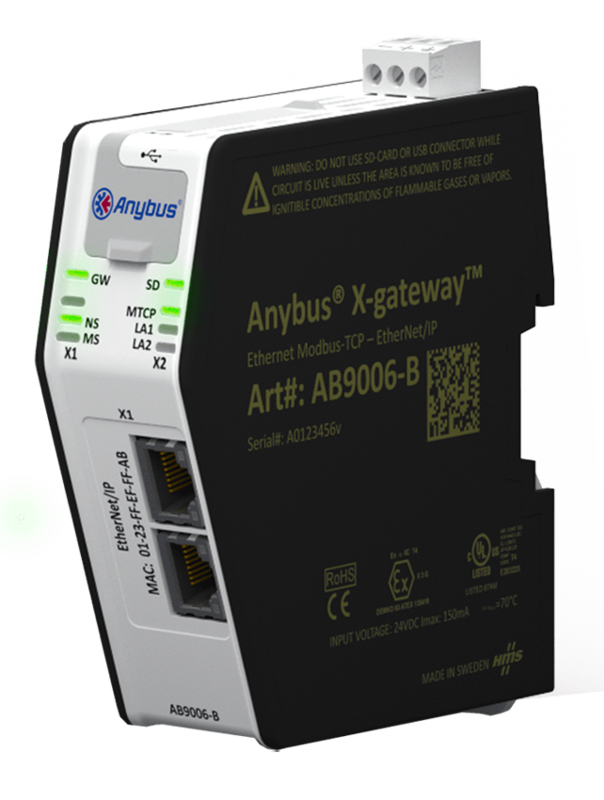 This example shows how to connect DeviceNet and PROFIBUS networks by using the Anybus Gateway. The configuration is made via the included Anybus Configuration Manager.